I have devoted my life and career broadly to the study of cultural history and politics, heritage and ethnic-religious studies, and psychological ethnology, and more specifically to interpreting American folklife and popular culture; technology, media, and digital culture; and material and visual culture. I have been active as a researcher, author, editor, and public speaker in Europe, Asia, and North America. In addition, as a university educator and administrator, I have had a lifelong interest in educational philosophy and pedagogy, organizational development, and governmental and policy evaluation. I invite you to look around my site for programming, projects, and publications that interest you in the many areas that radiate from these interests. I now hold the title of Maxwell C. Weiner Distinguished Professor of Humanities at Missouri University of Science and Technology and previously was Distinguished University Professor of American Studies and Folklore at Penn State Harrisburg . I have also taught at Harvard University, Osaka University (Japan), Leiden University (Netherlands), Dickinson College, University of California at Davis, and Utah State University. I have been the author or editor of over forty books and currently edit three book series: Studies in Folklore and Ethnology for Lexington Books, Jewish Cultural Studies for Littman in Oxford, England and Material Worlds for the University Press of Kentucky. From 2011 to 2016, I was editor of the Encyclopedia of American Studies, and am now preoccupied with another reference work for Oxford University Press: Oxford Handbook of American Folklore and Folklife Studies in online and print versions. At Penn State Harrisburg, I directed the American Studies Program which offers doctoral, master’s, and bachelor’s degrees. I also directed the Center for Holocaust and Jewish Studies and the Center for Pennsylvania Culture Studies (now the Pennsylvania Center for Folklore), for which I was the founding director. At Missouri S&T, I have an affiliation with its Center for Science, Technology, and Society. 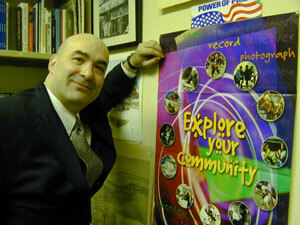 I have global interests and local involvement; I am active in public and governmental programming and policy evaluation/management for a number of regional agencies, including the Bipartisan Management Committee of the Pennsylvania House of Representatives, Pennsylvania Council on the Arts, Pennsylvania Historical and Museum Commission and the Historical Society of Dauphin County. I have been fortunate to have received support for these endeavors from the Rockefeller Foundation, McCormick Foundation, Smithsonian Institution, National Endowment for the Humanities, National Endowment for the Arts, Pennsylvania Council on the Humanities, and Department of State-Fulbright Program. On this site, I have separated my experience and accomplishments into different tabs for you to browse and comment. Images on the blog reflect documentary work I have done. 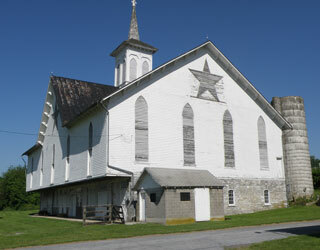 On this page, for example, is a Pennsylvania German Bank Barn near Penn State Harrisburg that we fondly call “The Star Barn.” I regularly led students to the site to talk about material culture and we worked with its owner on its preservation and eventual move from its present site surrounded by suburban development. You might notice a photo of me in my office showing a poster from the American Folklife Center in the Library of Congress (where many of my papers and field collections are deposited). 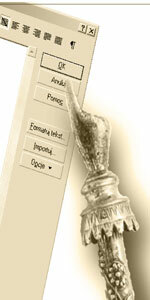 And on this page combining ancient and modern concerns is a photo showing a Jewish “yad” used to read the Torah being applied to the computer. (This comes to mind because of my recent work on “digital culture” or “cyberculture” and the Internet as a folk system). The image comes from a poster for an international conference I helped organize on Modern Jewish Culture in Wroclaw, Poland. My recent research has been on the strongman figure and strength athletics in American culture. I am also completing a textbook on American culture for Routledge, which follows a guide to folklore. My welcome message in different languages represents different cultures with which I have worked or visited: in order after English (I have studied customs of the British Isles as well as North America)–Netherlands, Germany, Yiddishland, France, Poland, Japan, China, Israel, and Arab and African American communities. Lecture on Campus Traditions at the Library of Congress.